The High Speed Vessel Aeolos Express II is the second ship in a series of three (Aeolos Express and Aeolos Kenteris), commissioned by the Greek company Nel Lines. 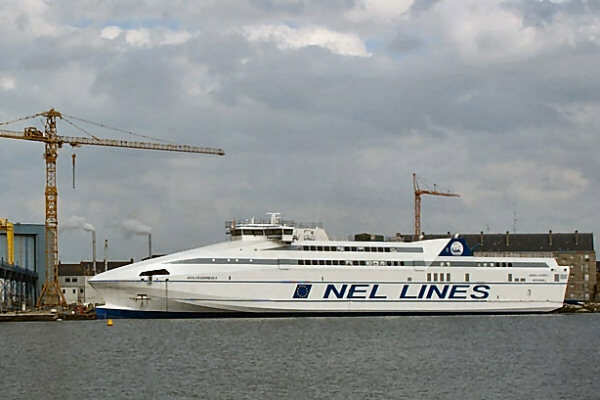 Built in 2001 at the Alstom Leroux Naval yard (Saint-Malo), it can board 800 passengers and 190 cars. It is powered by 3 Pielstick engines with a total of 11000 HP. In 2007, following the sale of the Aeolos Kenteris by Nel Lines, the Aeolos Express I and the Aeolos Express II has been renamed respectively Aeolos Kenteris I and II. In 2010, Aeolos Kenteris I is freighted by french compagny SNCM and renamed Liamone II. She replaced Liamone redeployed in French Polynésie and renamed King Tamatoa.